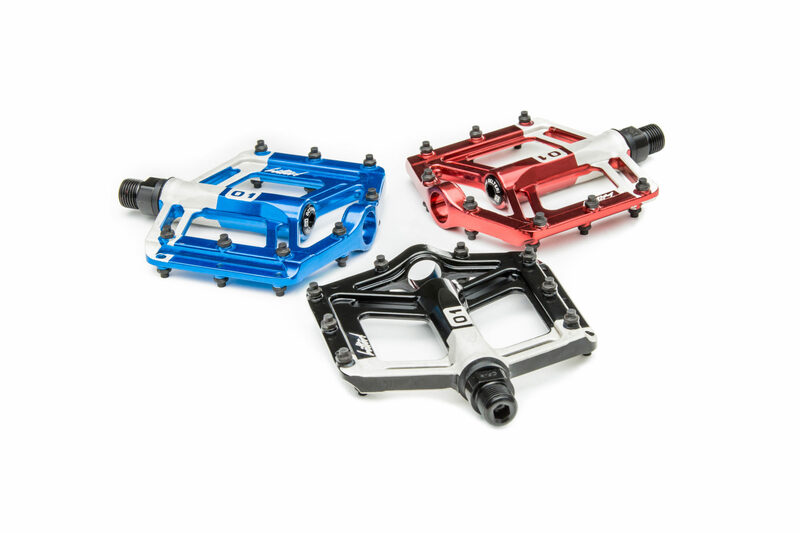 New jewel in the crown – the Octane One Belter pedals! After the disclosure of Prone frame, it's about time to present next new product from our 2017 collection. We present to you - the Belter pedals! The Belters replace our top end pedals Static PROs. They also roll on sealed bearings but are lower and lighter than their predecessors (a pair weighs ~ 380g) . Long, solid pins provide lot of grip. The Belters will be available in 3 colors: black, blue and red, and are expected to be in stock late March.